It is a long process to gain the dream figure. It requires lots of endurance! In order to avoid failure during the diet, you should not set unrealistic goals, like „I want to lose 20 kg in just one month.” Let’s say you eat 6 times a day. We do not eat snacks, have only quality meals and take care of the calories consumed, but after a time you recognize that the pace of losing weigh gets slower and slower continuously. In the first month you lose 2 kg per month, in the second month it were only 0.5 or 1 kg. Of course everyone gets scared of this. I have to tell you, it is a completely natural thing. Your body adapts to the change in circumstances, and you must find something new in order to start the process of losing weight again. Here is where dietary supplements come into sight again. In this article we are going to inform you about dietary supplements! There are people who reject dietary supplements completely. They do not use any products that help losing weight, not even vitamins do they take. Other people are open to new things. I do not want to convince anyone to use supplements. Any one of you has to decide it yourselves! But it is fact that medical science is much more developed than 20 or even 5 years ago. New and new things get discovered, so even on the field of slimming new drugs were discovered that are very effective. I made a list of dietary supplements that you should consider using during your diet. Of course you do not need to take all of them. In my opinion there is no diet without them. Here is the reason for it. Four micronutrients are needed day by day to ensure the proper functions of our body – water, carbohydrates, protein and fat. Water makes up 75% of four body, and a water loss of only 2% can lead up to a 20% decrease in sports performance. Further, we do need micronutrients as well! Micronutrients are substances that can play even in small amounts an important role in the proper and effective functioning of the organism. Micronutrients are above all vitamins and mineral substances, several vegetal extracts and other dietary supplements. But you should not forget, that there are no wonder substances or supplements that could replace these basics: (water, protein, carbohydrate, fat). During a diet you eat fewer calories which put our body under bigger stress. In this case it is vital to refuel the vitamins and mineral substances that are very important for our body. This way we can become more energetic and can take the challenges of a diet better. I would suggest to all of you to take a high quality multivitamin product which contains mineral substances as well. There is one thing that should be taken into account: the multivitamin product should not contain too much Vitamin B. That means respectively the vitamin called B12, which increases the appetite thus making your diet even harder. L-carnitine (formerly called vitamin BT, but as the human body is able to produce it as well, we do not see it as a vitamin), a nitrogen compound, is a hydroxylamine acid that cannot be found in proteins. Vitamins and mineral substances are needed in big amounts for its proper production. L-carnitine is a natural substance, which can be easily bought in pharmacies and even in bio shops. During tests overweight people who took 1000 mg carnitine supplement daily for 3 months managed to show a bigger weight loss than those who did not take L-carnitine at all. As chrome has an effect on the metabolism of glucose and fat, scientists developed that it plays a role in enabling weight loss and in enhancing body proportions (e.g. less fat, more muscles). As it has a positive effect on carbohydrate metabolism, chrome is an essential part of the diabetic diet. It supports the blood-sugar level decreasing effect of insulin. In case of diabetes type II that is not dependent of insulin, it can have a positive effect on the carbohydrate and lipid metabolism. It might play a role in the body mass control, as supplementary chrome might support the success of a body-mass decreasing diet. If you are a diabetic, then I suggest using it by all means. You can get it in a bio shop as well. CLA ( Conjugated Linoleic Acids ) is a modified fatty acid, which can be found in food in its natural form in small amounts. The CLA dietary supplement helps decreasing the fat tissue, enhances vitality and drives the energy reserves of the body. Thanks to its thermogenic characteristics, CLA affects directly losing fat, and thus it increases the energy production of the body. 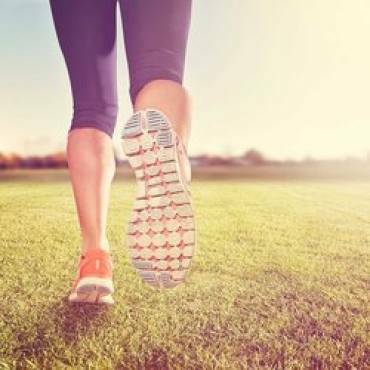 The energy released from fatty acids supports a better endurance, while it increases the body temperature in a natural way. During a diet it is vital to consume proteins irregular amounts! Without proteins the body will not use our protein storages but cuts back the muscles. You might of course say that you are losing weight anyway, but it is not the same whether the fat or the muscle tissue loses its weight. Protein powders are a perfect solution to replace one or the other meal. They contain lots of amino acids, but still few calories. They do not contain any fat and only a minimum of carbohydrates. There are even special protein powders available that were developed for diets. Those contain very few calories and they do fill the stomach. I suggest having a high quality protein shake as your last meal before going to bed. You can drink it with light milk or even with water (this way it tastes good as well). You should possibly choose a product that contains at least 85% proteins, and take care that it contains only a small amount of carbohydrates (that means that it is not full of sugar). If you do not want to make failure, I would suggest you the product of “Free Nutrition Protein 96”. Previously I mentioned some supplements that could be of use during your diet. Vitamins are in my opinion essential. But I have to stress out that you will not be losing weight just because you take vitamins – you just give your body what it deserves and will not be so enervated during your diet. L-Carnitine, chrome, CLA will give you a certain plus, but do not expect big things. These substances might help, but not to the extent that advertisements promise. It’s fact!! I did try everything earlier to lose weight, and found few products that were really of help. Chrome, CLA, L-carnitine, protein powders are good products, but there’s no point in using them without a proper diet and exercise! But there are some products that are really effective. They have no marketing background. Neither is it simple to purchase them, but still, they helped lots of people to lose weight. The following products were developed for people whose overweight is so huge that they must lose weight as fast as possible, in order to preserve their health. I do not mean 10 kg surplus on your belly, but people who can hardly move because of their overweight which endangers their live. Serious overweight increases their blood pressure, they have diabetes and cardio-vascular diseases. You can lose weight through making a diet and doing more exercise, but what if your overweight is so big that you cannot do sports any more, as your joints cannot take the weight?! Further, you cannot force a 140-160 kg heavy man to do a 2 000 calories diet, as he won’t be able to bear it. This is when drugs come in sight, which has been developed through decades of research. Adipex Retard is produced by Gerot Pharmazeutika. In Europe it is only available in the Czech Republic (where it is produced), although it is registered in several European countries. Gerot Pharmazeutika paired Adipex with the active substance phentermine, which affects the famine centre of the body, and so decreases the appetite. A capsule contains 75 mg Phentermine Resinatum, which equals 15mg Phentermin. This diet product already helped a big number of people, who suffered from huge overweight. Adipex accelerates the metabolism, and the body is able to burn more calories when you use it, further it affects the famine centre of the brain, which makes us consume less food. It has been developed for people who can hardly move and so are not able to lose weight through doing sports! Dosage of Adipex: One pill daily 30-40 minutes prior to the meal. Upon doctor’s order ( in case of serious overweight!! ) it can be increased to a dose of 2-3 pills / day. The mode of action of Regenon is similar to that of the diet product Adipex Retard. The biggest difference between Regenon and Adipex is: while Adipex accelerates the body (so it can cause insomnia, if taken too late) and metabolism as well, Regenon does not have effects like these. Regenon helps you losing weight through decrease your appetite, while a part of consumed food remains indigested, so the body will utilize fewer calories from one or the other meal. Regenon causes stronger lack of appetite than Adipex! That is why Regenon is quite a popular weight loss drug during the diet period. Thanks to it those parts show the biggest change that are the most likely to get spherical – the waist, the thigh and the belly. An astonishing weight loss can be observed in just 2-3 weeks. It can even happen that the body shape changes a whole cloth size until the end of the 4th week. It can have a rather intensive effect as ma result of accelerated metabolism and decreased appetite. You should drink alcohol seldomly during the Regenon cure, as alcohol does neutralize most of the active substance. Its typical characteristics are: decreases fat, slightly diuretic, suppresses appetite and detoxification that is why it became one of the most popular weight loss drugs in the drug supply. From all available weight loss products taking the fat-reducing Regenon can lead to normal occurrence of side effects. That means that significant symptoms only occur in extreme cases. As it can be read in numerous online forums, extreme cases in connection with Regenon fat burning product occur quite seldomly. A huge number of users shared their experiences with Regenon – they just noticed the perpetual thirst during the diet. Should side effect symptoms get stronger while taking the product, the cure must be ceased. In this case we suggest a test done by the medical attendant! The proposed dosage of Regenon under 80kg: 3x 1 pills, to be taken half an hour before meals on empty stomach. Over 80 kg, if it’s justified, 4 -5 x 1 pills, to be taken half an hour before meals on empty stomach. Whom do we recommend taking Reductil? It is recommended for use if the body mass index (short: BMI) of the person who wants to lose weight is bigger than 30. The usage of Sibutramine ( Reductil ) can be justified with a value of 27, in case that the overweight endangers health. 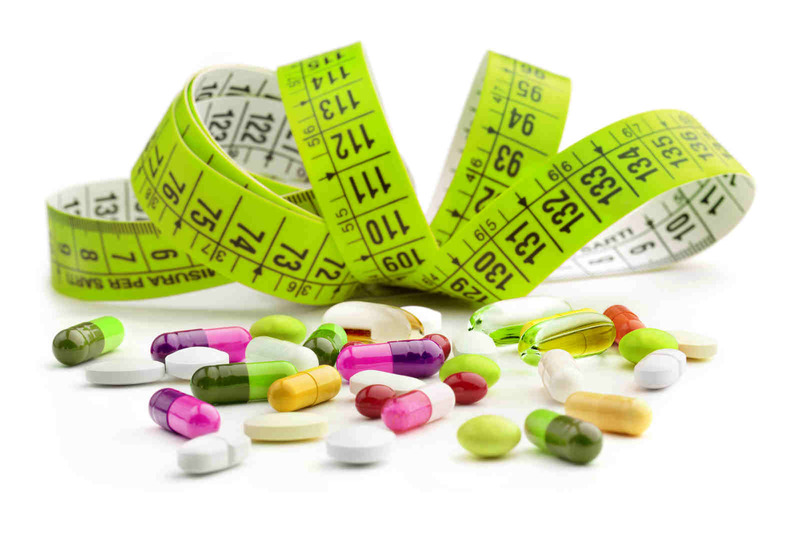 Taking weight loss pills can be justified also in cases of cardiovascular diseases or diabetes, where a high cholesterol level might be a risk factor. The weight optimizing product gets effective even without a diet or doing exercises, but effective weight loss will happen sooner if consumed calories get cut back as well. To say it with numbers: those using the product can reach a weight loss of 5-15% in average. Effectiveness can be supported through less calories consumed, doing exercises and gymnastics actively. During a Reductil cure side effects usually diminish spontaneously on the second or third week after the start of use, once the body gets used to the active substance of sibutramine. The Dosage of Sibutramine: 1 – 2 pills daily. Do we need weight loss products in order to lose weight? My answer is: yes and no! 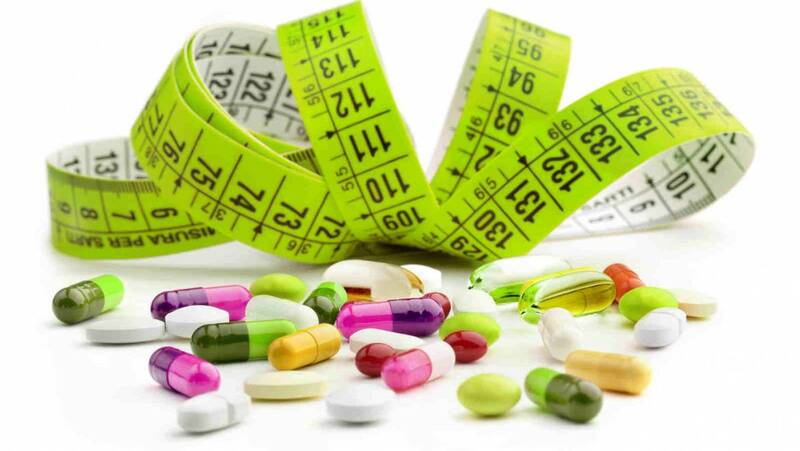 In order to lose weight you do not necessarily have to take any diet pills – neither natural ones, nor those developed by pharmaceutical companies! You do not need anything but will and endurance. Will to keep your diet and not to breach it. Endurance that makes you go jogging or swimmingin the morning. (Fat burns more effectively if you do exercises right after waking up, with empty stomach, but I will write about that more in another article.) You need endurance when you get to a dead point and your weight gets stuck for months. Of course it depends of the amount of surplus you have! If you have on 4-5 kg surplus, then it is simply unnecessary to take Adipex. You can easily lose 4-5 kg in a month. Here I h ave to notice that I know professional sportsmen who use Adipex or Regenon in order to ensure that they fit into their weight class. If you are not a professional sportsman for whom it is important to lose 2-3 kg as quickly as possible, then it is completely unnecessary to take products like these. On the contrary, if you had a big overweight, then it might be worth considering the usage of fat burning products! What is a big surplus? That depends on who is asking. Some people get completely depressed because of a 7-8 kg surplus, and some are happy with 30 kg overweight. And that is what it is all about – feel good in your skin. It is something completely different if the overweight is so big that you get a number of diseases because of it. In cases like this the doctor himself is likely to suggest weight loss pills, as he takes the ratio of yield and risks into consideration. Should you have diabetes or an oedema on your leg, or you can hardly breathe because of the huge weight, then a side effect caused by a drug, like headache or insomnia might be an insignificant risk. I suggest taking dietary supplements as a complement to your diet by all means. Losing weight from the thigh.